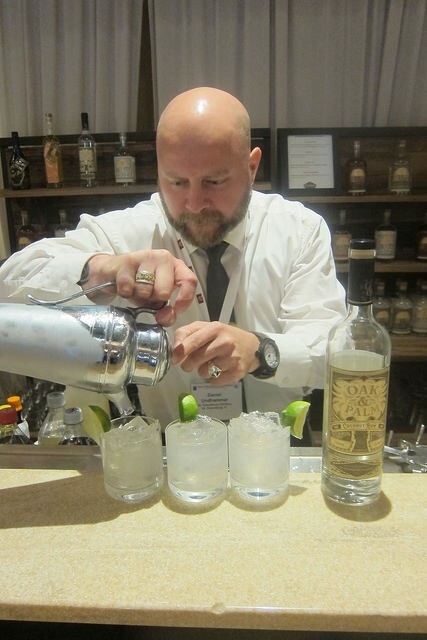 Recently I attended the annual Wine and Spirits Wholesalers of America conference in Orlando. This was my third year in attendance and I’m always excited to see new products at WSWA. These wines and spirits are looking for distribution and I thought it would be interesting to follow a brand through the process. In the case of spirits, after getting a license to produce alcohol from the Alcohol and Tobacco Tax and Trade Bureau (TTB) and paying the necessary permits and taxes, you are now looking at America’s three-tier system for distribution. After the repeal of Prohibition, states went to this system of producers, distributors and retailers. Producers sell to distributors who then sell to retailers who in turn sell to customers. In some states, the state is the distributor and retailer. A few years ago, the state of Washington did away with the three-tier system but they essentially still operate that way as producers work with certain distributors sell their product. Bars now have a choice to buy from distributors or from the heavily taxed state stores. At WSWA, the producers are looking for either regional or national distribution. Have you ever wondered why you might be able to get a brand in LA but not in New York? The brand may have decided to start in one region before moving on to national distribution. It is said St. Germain got its start at WSWA and indeed you can still find many reliable distilleries at WSWA but perhaps they’re offering brand extensions or new products. Small or large companies alike like the odds of finding a distributor at WSWA. I discovered the St. Petersburg Distillery showcasing their products at WSWA. They are currently producing gin, vodka, 3 different rums including coconut and spiced, whiskey, mead wine and an orange liqueur. I loved their bottle artwork and tasted them all. 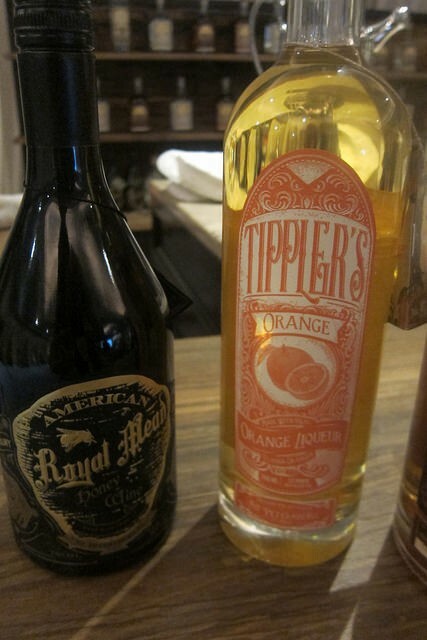 The vodka is very nice and I was intrigued by the orange liqueur made from Florida oranges. 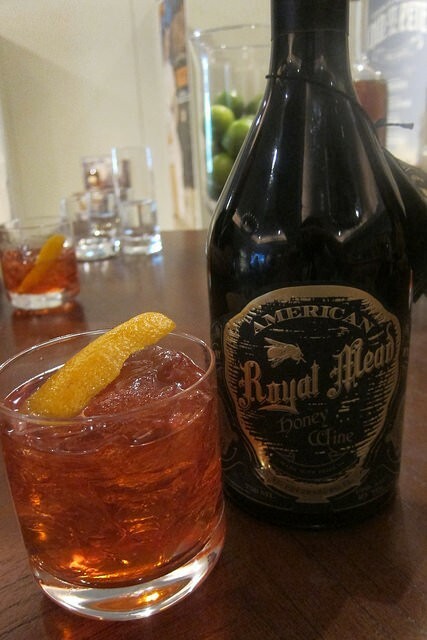 We tried a Negroni variation with the Old St. Pete gin, Campari and American Royal Mead (in place of vermouth). We also tried the Oak and Palm coconut rum with coconut water in a daiquiri variation. 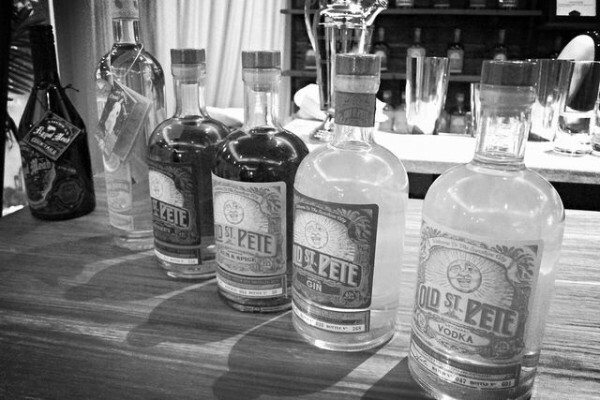 Although St. Petersburg Distillery currently has distribution only in South Florida, they are making a go at expanded distribution. By having a private show room instead of just being on the floor really highlighted them. I wouldn’t be surprised if St. Petersburg products hit larger markets like Southern California and New York soon. Coming soon: What’s it like to judge spirits and highlights from 2015’s convention.